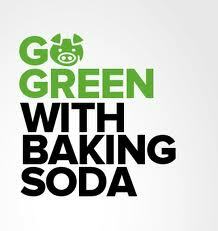 In my quest to support a greener environment and create a pure and simple life for my family, the switch from chemical and bleach cleaners to vinegar and baking soda was made. In a time where chemicals seem to have replaced bacteria and viruses as a main threat to our health, this change was an easy and efficient way to reduce our exposure to harmful, hormone altering chemicals that commercial house-hold cleaners contain. Next to vinegar (See previous post 49 Wonders of Vinegar), the most useful household ingredient is baking soda (AKA sodium bicarbonate). This multitasking wonder-ingredient will make your life easier while helping to reduce your exposure to toxic chemicals. (especially when purchased in bulk quantities). 1. Squeaky clean hair - Add a teaspoon of baking soda to your usual shampoo bottle to help remove buildup from conditioners, mousses, and sprays, and to improve manageability. 2. 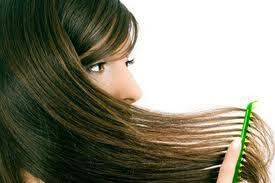 For in between washings - use baking soda as a dry shampoo on oily hair. Sprinkle on your hair and comb through, then fluff with a blow dryer. 3. Chlorine remover - Rinse hair with 1/2 teaspoon baking soda in 1 Litre water to remove the dullness or discolouration caused by chlorinated pools. 4. Combs and brushes - Hair spray and oil buildup on combs and brushes can be removed by soaking them in a sink of warm water and adding 3 tablespoons baking soda and 3 tablespoons vinegar. 5. 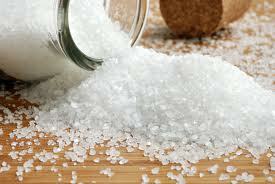 Make bubbling bath salts - with 2 1/2 cups baking soda, 2 cups cream of tartar, and 1/2 cup cornstarch. Mix them together, and store in a covered container. Use 1/4 cup per bath. 6. Clean fingernails and toenails - by scrubbing them with a nailbrush dipped in baking soda. This also softens cuticles. 7. Refreshing mouthwash - To freshen breath, use 1 teaspoon baking soda in a 1/2 glass of water, swish the solution through your teeth, and rinse. 8. Use baking soda to soak athletic mouth guards, retainers, or other oral appliances. Scrub dentures, mouth guards, and retainers with a toothbrush dipped in baking soda. 9. Soak toothbrushes in a baking soda solution overnight. 10. Shaving - Men with sensitive skin may find that a solution of 1 tablespoon baking soda in 1 cup water makes a great pre-shave treatment or a soothing aftershave rinse. 11. To make your own baking powder - stir and sift together 2 parts of Cream of Tartar to 1 part baking soda and 1 part cornstarch. 12. Clean your fridge and freezer with dry baking soda sprinkled on a damp cloth. Rinse with clear water. 13. 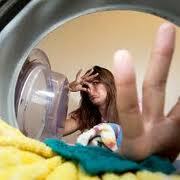 Add 1/2-cup baking soda to your washing machine load. Softens the water and deodorizes. 14. Oil and grease - stained clothing washes out better with baking soda added to the washing water. 15. Wash out thermos bottles and freezer bags with baking soda and water to get rid of stale smells. 16. To remove stubborn stains from marble, formica or plastic surfaces, scour with a paste of baking soda and water. 17. Wash glass or stainless steel coffee pots (but not aluminium) in a baking soda solution (3-tablespoons soda to 1 Litre of water). 18. Sprinkle baking soda on barbecue grills, let sit for 15 mins, then rinse off. 19. Sprinkle baking soda on greasy garage floor. Let stand, scrub and rinse. 20. Polish silverware with dry baking soda on a damp cloth. Rub, rinse and dry. 21. For silver pieces without raised patterns or cemented-on handles: place the silver on aluminium foil in an enamel pot. Add boiling water and 4 tablespoons baking soda. Let stand, rinse and dry. 22. Reduce odour build-up in your dishwasher by sprinkling some baking soda on the bottom. 23. 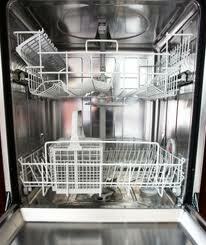 Run your dishwasher through its cycle with baking soda in it instead of soap to give it a good cleaning. 24. To remove burned-on food from a pan: let the pan soak in baking soda and water for 10 minutes before washing. Or scrub the pot with dry soda and a moist scouring pad. 25. Keep your drains clean and free-flowing by putting 4 tablespoons of baking soda in them each week. Flush the soda down with 1 cup of vinegar and a kettle full of hot water. 26. Soak your shower curtains in water and baking soda to clean them. 27. To remove strong odours from your hands, wet your hands and rub them thoroughly with baking soda, then rinse. 28. 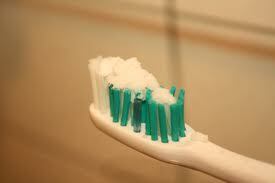 Sprinkle baking soda on your wet toothbrush and brush your teeth and dentures with it. (Helps to keep them white and bright). 29. Sprinkle baking soda in tennis shoes, socks, boots and slippers to eliminate odour. 30. Add 1/2-cup or more of baking soda to your bath water to soften your skin. 31. Putting 2-tablespoons of baking soda in your baby's bath water will help relieve diaper rash irritations. 32. Apply baking soda directly to insect bites, rashes and poison ivy to relieve discomfort. Make a paste with water. 33. Take a baking soda bath to relieve general skin irritations such as measles and chicken pox. 34. 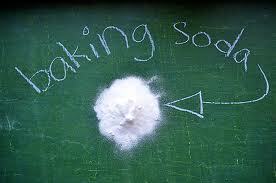 Take 1/2-teaspoon of baking soda in one-half glass of water to relieve acid indigestion or heartburn. 35. Used as a mouthwash, baking soda will also relieve canker sore pain. 36. 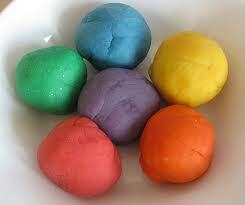 Make "Play Clay" with baking soda: combine 1 1/4 cups water, 2 cups baking soda, 1 cup cornstarch. (Food colouring or Kool-Aid can be used as colourant). 37. If baby spits up after feeding, moisten a cloth, dip it in baking soda and dab at the area. The odour will be eliminated. 38. Add baking soda to water to soak dried beans to make them more digestible. 39. Remove scratches and crayon marks from vinyl floors and walls. (Scour with baking soda and hot water paste). 41. Use baking soda to sweeten sour dishcloths. 42. Use baking soda dry with a small brush to rub canvas shoes and handbags clean. 43. Use to remove melted plastic bread wrapper from toaster. Dampen cloth and make a mild abrasive with baking soda. 44. To eliminate dog odours or just freshen up the air, sprinkle baking soda on your carpet where your dog lies and vacuum up. Leave the baking soda on the carpet for half an hour. It also eliminates odours in your vacuum after it has been vacuumed up. A great way to freshen up your home air when everything is closed up. 45. Unblock stuffy nose by adding a teaspoon of baking soda to your vaporizer. 46. Keep cut flowers fresh longer by adding a teaspoon to the water in the vase. 47. Make fluffier omelets by adding half a teaspoon of baking soda for every three eggs used. 48. Put it under sinks and along basement windows to repel cockroaches and ants. 49. Sweeten your tomatoes by sprinkling baking soda on the soil around your tomato plants. I really could have used tip #37 when my girls were babies!